Choosing the right pump for your ground water needs can be daunting if you aren’t familiar with what’s on the market. Through our extensive experience with both international and local manufacturers, we are equipped to guide you through the pump selection process. Quality, performance and reliability are some of the features we demand when choosing a pump. Throughout the years and many installations, we have tested a variety of pumps. This led us to to select a limited range. Repairs and maintenance visits can be scheduled by calling our offices. As with wellpoint pumps, there is a wide variety on the market. Quality, performance and reliability are also features we look for when selecting a pump. However, the installation of a borehole pump requires specialist knowledge and technique which our staff have mastered. 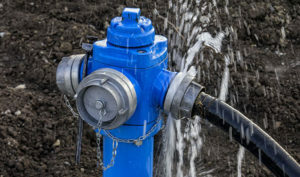 To prevent unnecessary expense maintaining your wellpoint/borehole system we recommend that you run the system for a few minutes at least once a week during winter, especially in the case of submersible borehole pumps, which are exposed to water containing high levels of mineral elements. Should your system not function properly at the start of spring we suggest you call our offices immediately. We will schedule one of our efficient teams to attend to the system as soon as possible. However, should the pump require repairs this will be undertaken at our workshop. After assessment, pump repairs will only be undertaken once you have been informed as to the cost implication and duration of repairs. Are you interested in one or more of De Wet’s Services? © Copyright 2017. De Wet's Wellpoints & Boreholes. All Rights Reserved.